Finally, this would be the moment many photographers have been waiting for and it is made possible thanks to the great effort of Louis Pang and his Wedshooter.tv team! A bit more about Joe McNally, he is an internationally acclaimed photographer whose career has spanned 30 years, has shot cover stories for TIME and currently, an ongoing 23 year contributor to the National Geographic and more. To express how excited this was when the Wedshooter.tv team announce it at their blog:- If you are classical musician, it's like Berliner Philharmoniker is coming to your nearest city and teach you about classical music. If you are student, it's like Harvard University is offering you to study there. If you're a car engineer at Proton, it's like BMW is coming over to guide you about making good cars etc. Hope that you could feel me and that was the excitement every photographer is getting when Wedshooter.tv announce this on November 2009. 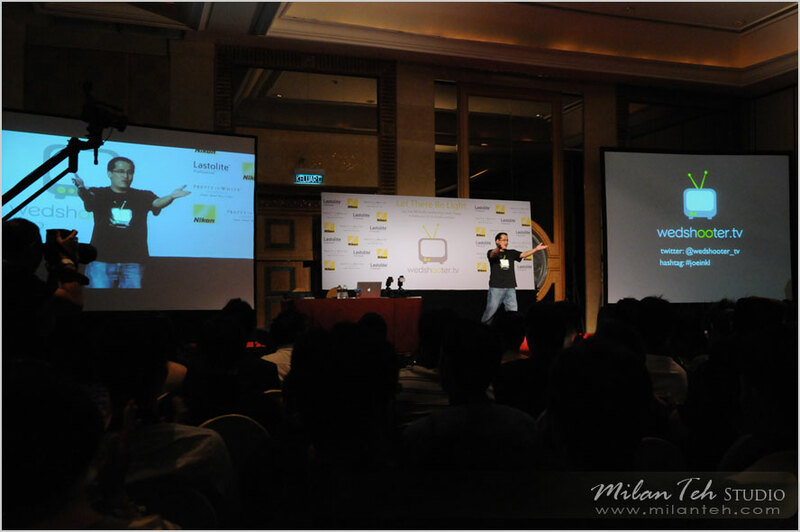 Basically, there are one lighting workshop "Hot Shoe Diaries" held on 5 different days by Joe McNally and a lighting seminar "Let There Be Light" by Joe McNally featuring Louis Pang. 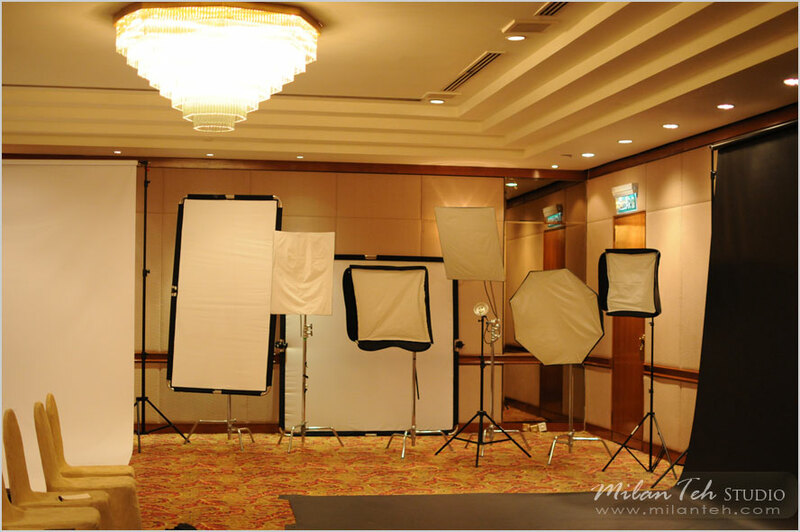 The workshop and seminar talks mainly about small flashes that photographers use on top of their camera and of course, lighting. It took only 5 days and the workshop was fully booked! This was the first thing that catches my eye when I reached the hotel where the workshop took place, a paper stating hastag# that we use in Twitter. Some of the light modifiers that we will be using throughout the workshop. 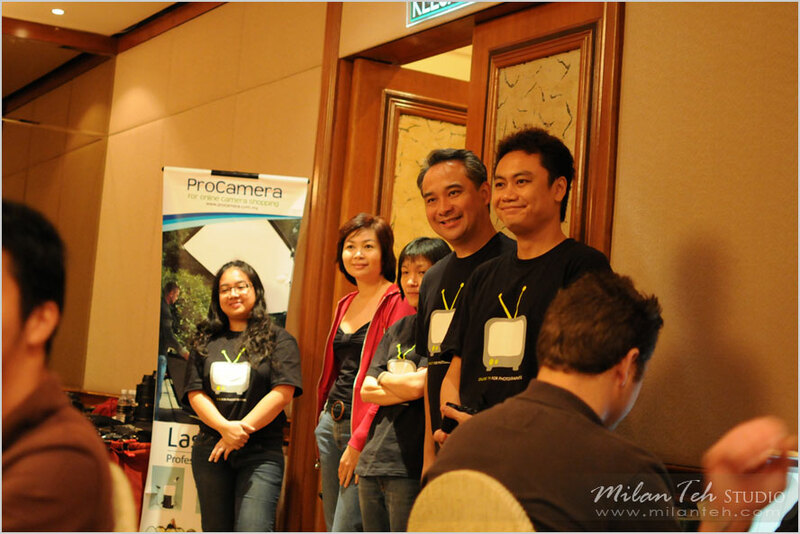 Some of the Wedshooter.tv team with the cute black Wedshooter TV t-shirt. Starting from the left, Johanna, Jasmine, Johan Sopiee, Melvin. Also, makeup of the models for the workshop and seminar was done by Lee Kuen, the lady on the red jacket, founder of Bridal Glam. Drew, first assistant of Joe explaining about what they use for location shoots. 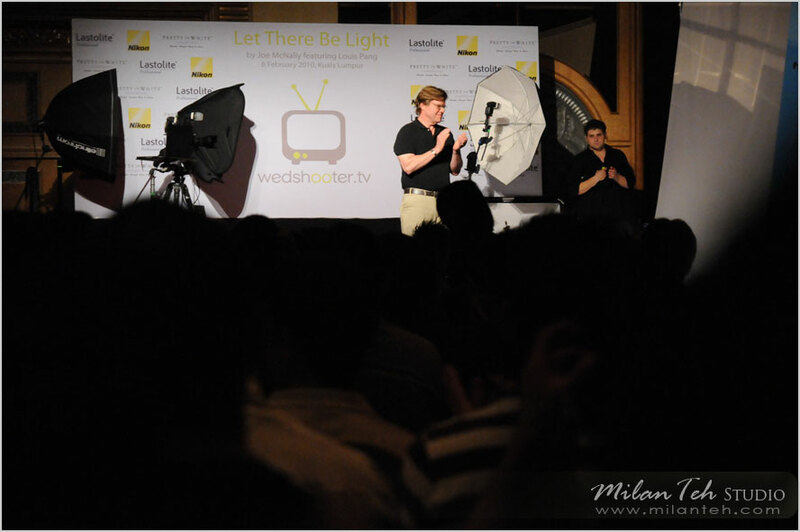 Joe McNally, a very humble guy, a great photographer & master of lighting. It is very informative for being able to see how Joe works and how he solves each lighting problem that arises. After that we were break into groups of 4 and the first model we get to work with is Tarachin. She has been very easy to work with and I love her expression, body language and professionalism. Just to share with all of you some shots that I took on the practical session at below. They were out of camera shots. Next, we get to work with Ong Tou. I don't really know which part of the hotel we were but this place is very very hot. Ong Tou has been very professional & patient with us even though he was soaking wet! Next, last session of the workshop and Joe brought us to a corridor and talked us through what he'll be doing next. Joe's camera and Mac. Every shot that he took(ie. out of camera shot) is shown to everyone through his notebook. Next, "Let There Be Light" seminar on Saturday. 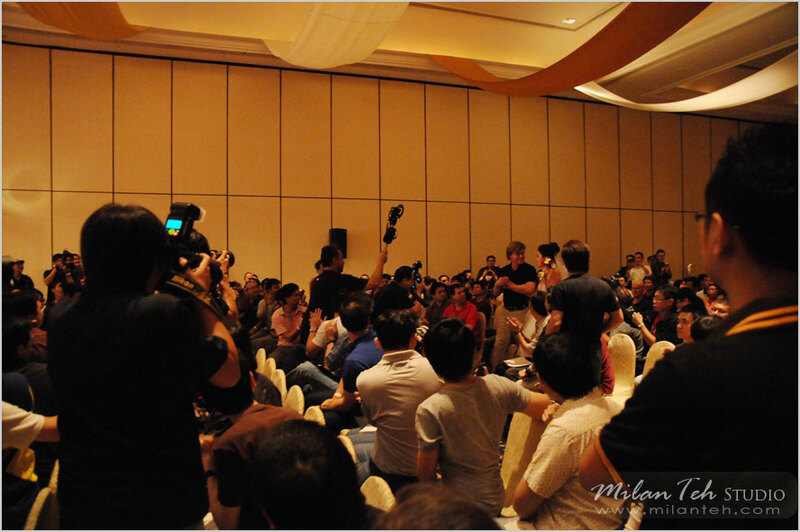 Look at the amount of photographers who attended this! More than 300 photographers are there that day. Louis Pang, the man that makes this possible and happening. The seminar starts with an introduction of Louis Pang, this is indeed a very unique way to introduce him. As you can see, he wasn't simply walking into the hall but he was shooting live infront of us. A warm welcome to every participants. There are participants from 9 different countries under one roof!